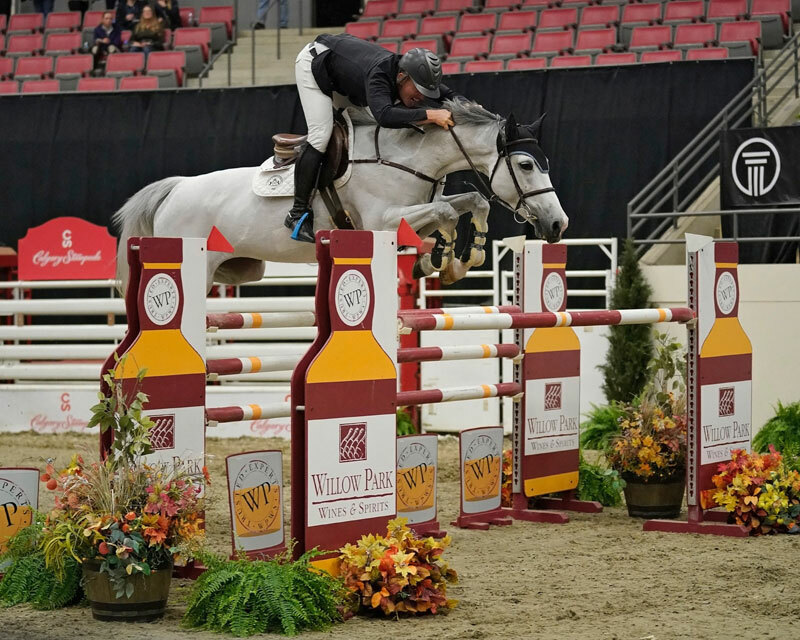 Keean White aboard Leilani jumped to victory in the $40,000 Willow Park Wines and Spirits Cup CSI3* Welcome Speed as Royal West 2018 continues. White and Leilani jumped tonight’s thirteen-jump course, designed by Werner Deeg in 59.14 seconds. Rachel Cornacchia was awarded second place with a time of 61.00 seconds on Koko Katinka. Third place was also awarded to White piloting For Freedom Z with a time of 61.97.